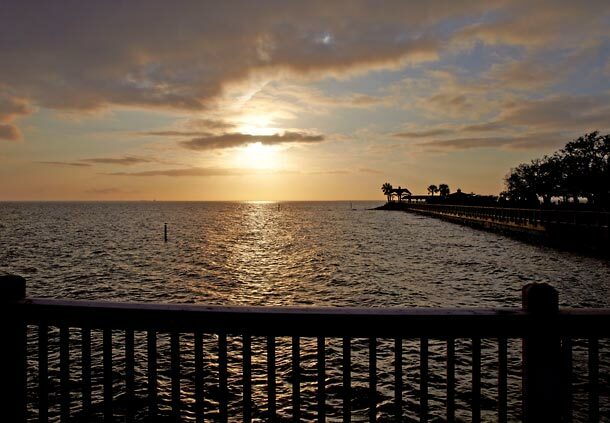 “Christopher Columbus had scarcely been in his grave fourteen years when Pineda discovered Mobile Bay and gave it the most sacred name in his vocabulary – the “Bay of the Holy Spirit,’ wrote Colonel David Holt, Mobile historian. 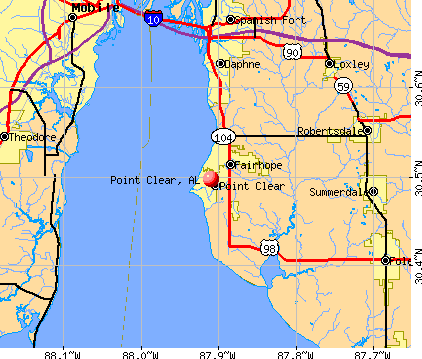 Point Clear appears on the H. S. Tanner map of Georgia and Alabama in 1823 as Big Point Clear and the bayshore community at the point is called Williamsburg. 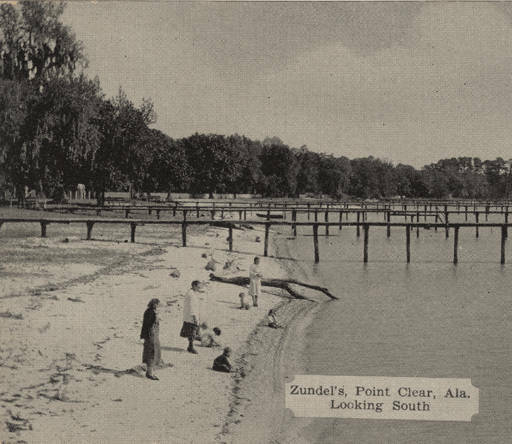 “In 1820, a few immigrants crossed Mobile Bay in a sailing craft and began converting a pine forest into what was to become a noted resort. 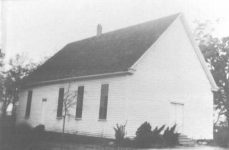 The original settlers were Caleb Dana and Joe Nelson. 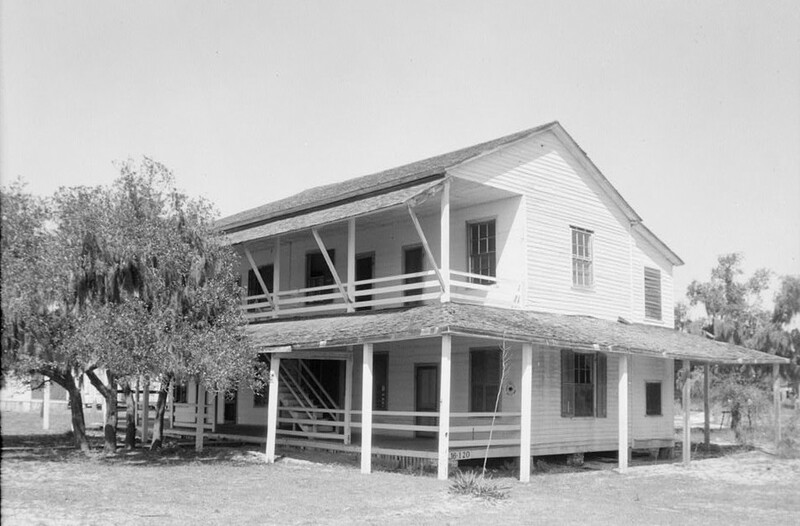 The Dana House was the first constructed. 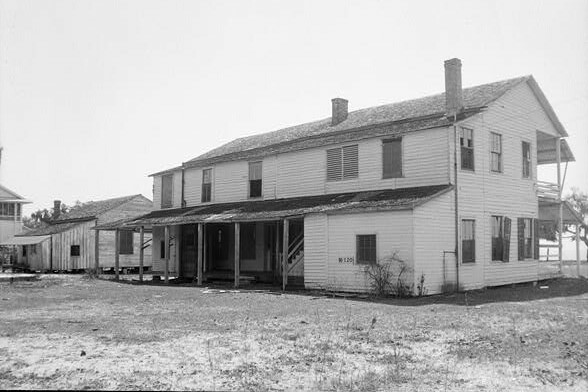 Early Point Clear village was separated from another village, Battles (named for John and James Battle), by Point Clear Creek, just above the Old North Wharf, reportedly built by A. D. Darling and F. H. Chamberlain. 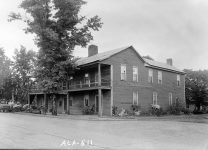 The bar was two-storied with outside steps at one end leading upstairs.iv It soon became the gathering place for antebellum southern society and was affectionately called “Queen of Southern Resorts” by devoted clientèle. 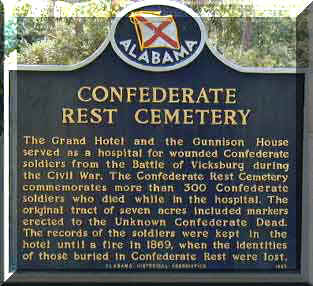 During the Civil War, the hotel was used as a hospital for Confederate soldiers. 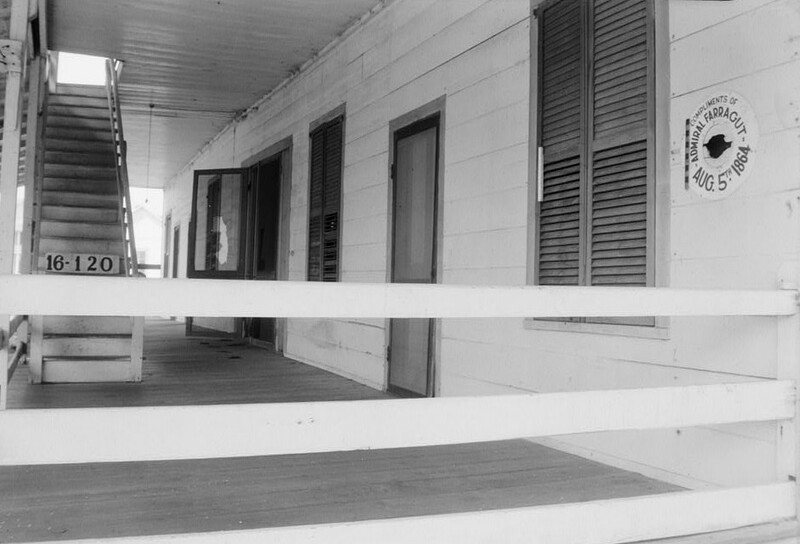 After the war, the hotel was reopened for guests. 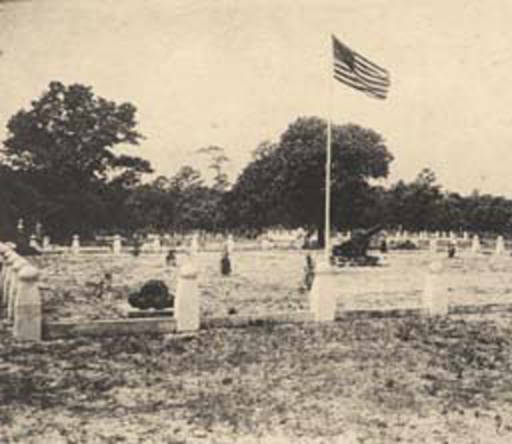 The “Confederate Memorial Cemetery” next to the eighteenth hole tee on the Azalea Course of the Lakewood Golf Club pays homage to 150 soldiers, most of whom are identified. 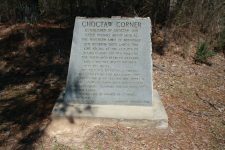 In 1927, the Eastern Shore Memorial Association enclosed a small portion of this tract, cleaned the grounds, and erected a granite marker to the Unknown Confederate Dead. 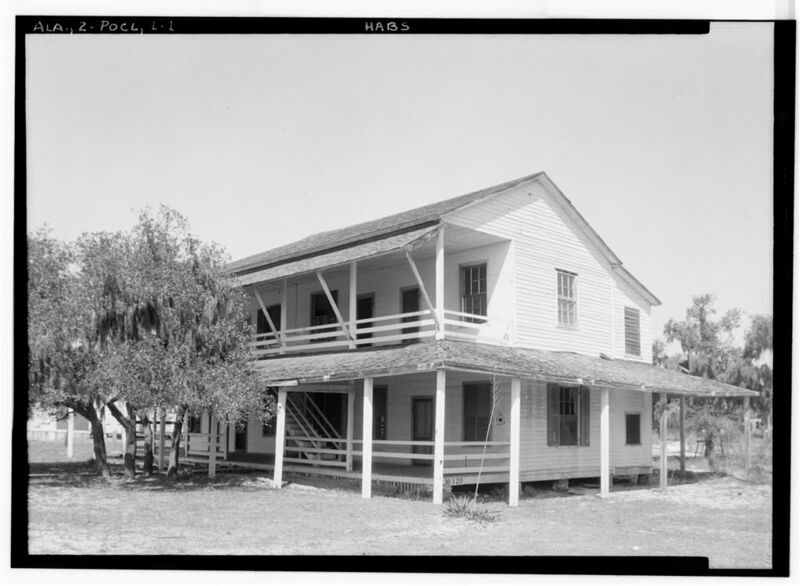 ‘Near the hotel was the two-story frame mansion known as the Gunnison House, in its early days almost as colorful as the Texas. 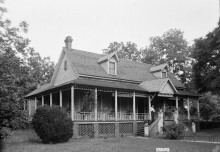 John A. M. Battle built the house in the early ‘fifties and occupied it for several years as his summer home. 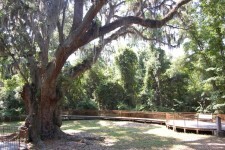 It was one of the greatest gathering places in the area during the antebellum period. 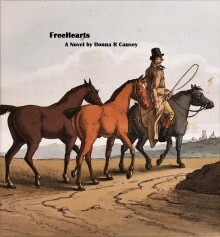 As tradition has it ‘ they rode em high at Gunnison’s.’ Here cognac passed freely, staggering sums changed hands at cards, and sumptuous feasts were served in the old southern manner. 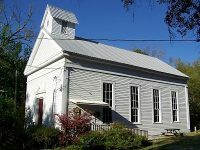 An inscription on a metal plate on the Gunnison House bears the legend ‘Compliments of Admiral Farragut, August 5, 1864.” The plate was placed there by Major James K. Glennon, Confederate soldier and prominent Mobile citizen, as a reminder of a shell hole made by Farragut’s guns when he damned the torpedoes and ordered his ships “full speed ahead!” in the Battle of Mobile Bay. 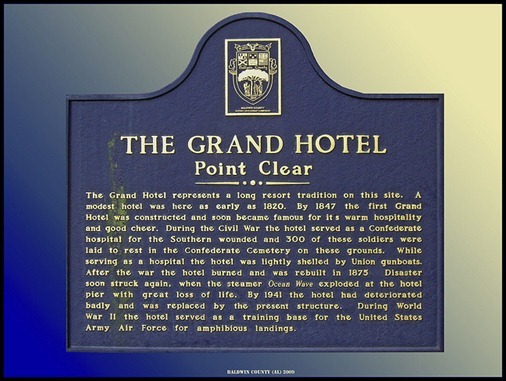 “On the night of July 14, 1869, the Point Clear Hotel was destroyed by a fire which began tin the bake-room of the kitchen and the main building was leveled but although there were 150 guests, no lives were lost. The cottage to the east of the main building was destroyed but the Texas bar, billiard room, tenpin alley, one cottage and wharves were undamaged. 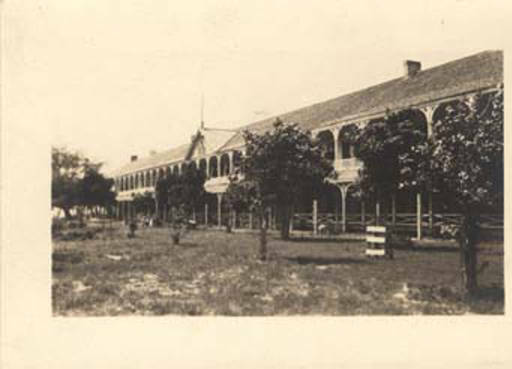 The hotel continued to operate after the fire until Captain H. C. Baldwin, bought the property and built a second hotel…The Grand, on the original site. 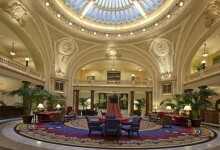 He completed the hotel in 1875. On August 27, 1871, an explosion occurred on the steamer Ocean Wave while she was docked at Point Clear and as she prepared to leave. 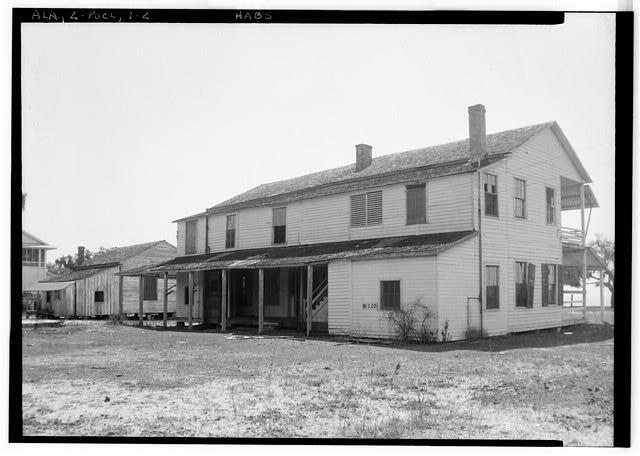 Captain Baldwin rebuilt the Grand Hotel for $75,000 on the original foundation. It was a two-story building measuring three hundred feet in length and contained sixty suites of rooms. Both floors had arched columned galleries with overhanging roofs that extended around the building. All sleeping rooms opened on the galleries. A large hall extended to connect the front gallery with the rear one. Captain Baldwin died in 1878 and Burton Adams became the manager. 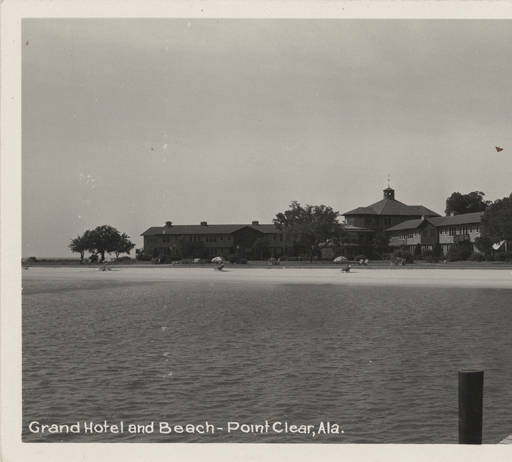 In 1889, J. R. Dowdell and Charles Joseph became the managers and the Grand Hotel even acquired a resident physician, Dr. Samuel K. Reynolds. 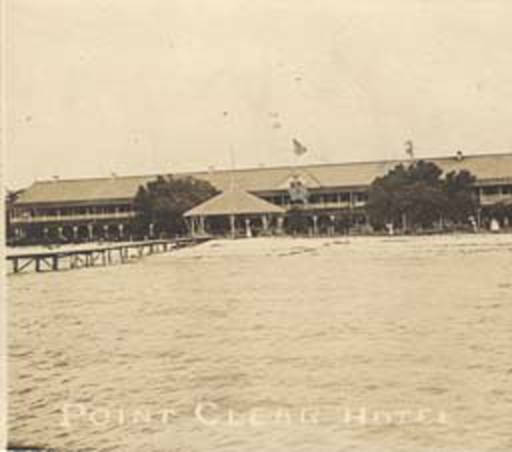 On October 2, 1893, Mobile was hit by one of the severest storms on record to that date and the Point Clear resort suffered the loss of the dining room building adjacent to the hotel and the Texas bar but another dining room was soon built at a right angle to the rear of the hotel. 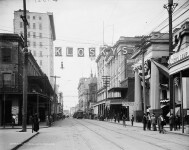 A partnership of Syles and Brown, operated the hotel from 1898 until 1901 when it was sold to Ames K. Glennon. 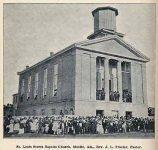 The Grand became the center of the south’s social and leisure life for many years. 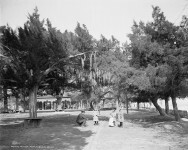 In 1939, Waterman Steamship Company purchased The Grand, demolished and rebuilt the establishment on the exact site of the former ones, and some of the lumber was used in the new building, particularly the heart pine flooring and framing. It opened two years later in 1941. 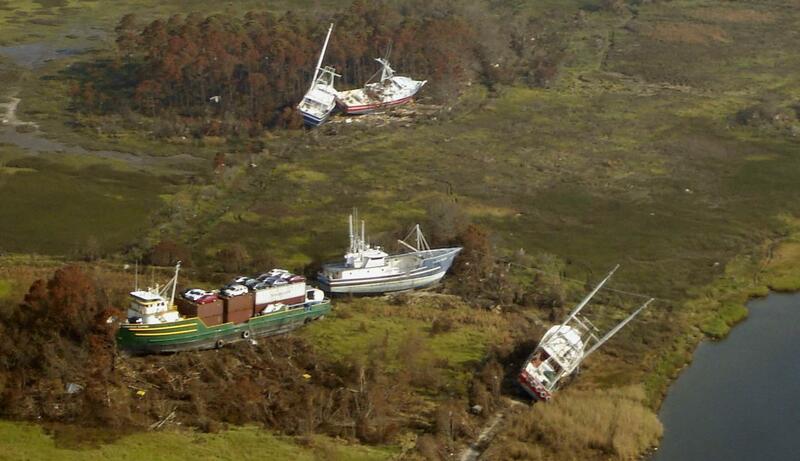 However, during World War II, it was used as an amphibious landing craft training center. 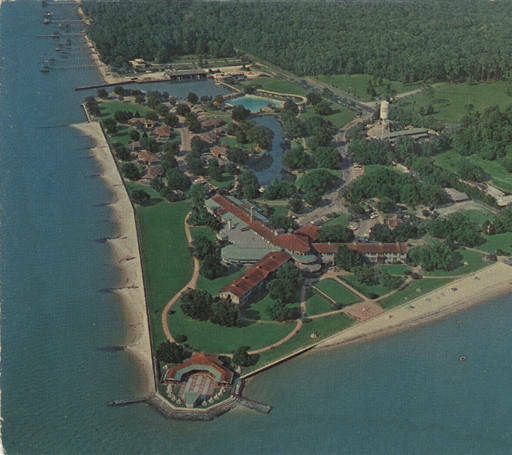 In 1947, Lakewood Golf Club opened to provide more amenities to the many hotel guests. 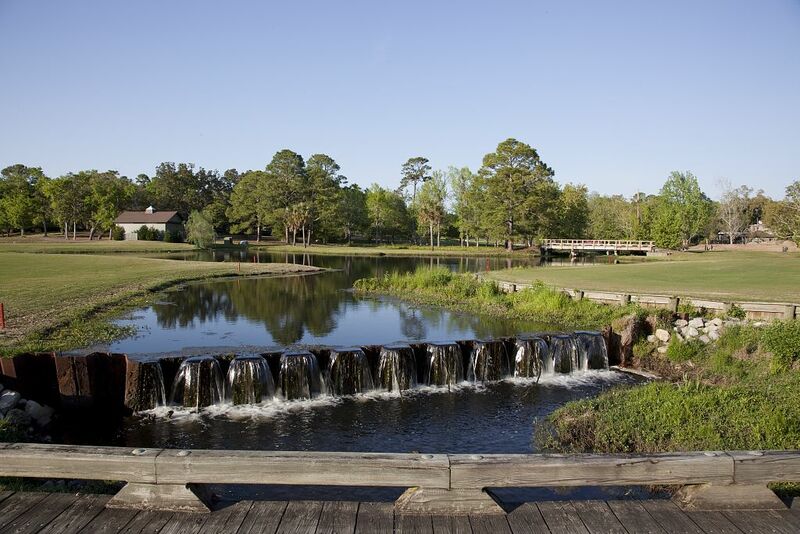 The golf course was designed by Perry Maxwell and the nines were names Azalea and Dogwood. 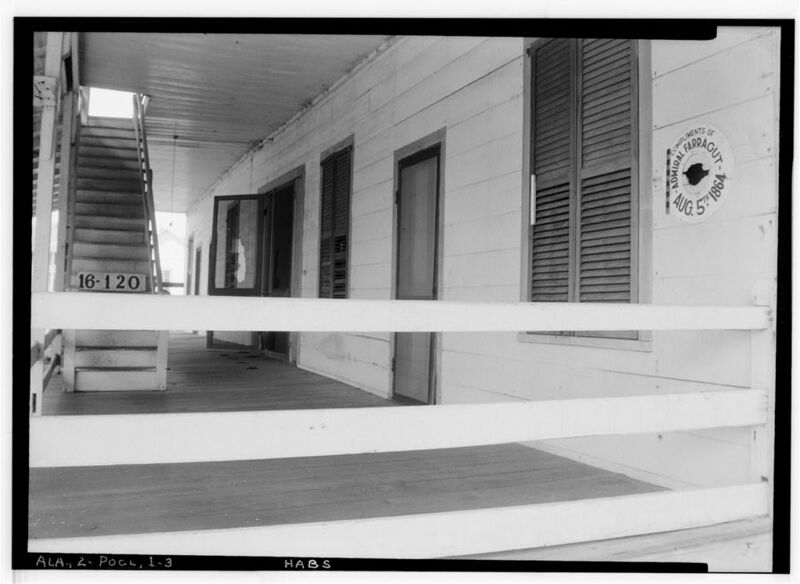 In 1966, a local businessman J. K. McLeanPurchased again in 1966 purchased the hotel and made further improvements. 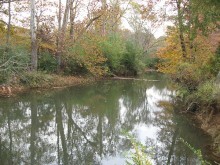 Joe Lee designed nine more holes and named them Magnolia. Hurricane Frederic, in 1979 caused $4 million in damages and McLean was forced to pass The Grand Hotel to the Marriott Corporation. A major renovation was undertaken and nine more holes, designed by Ron Garl, were added. The Grand is now owned by Point Clear Holdings, which like the Robert Trent Jones Golf Trail is funded by the Retirement Systems of Alabama. 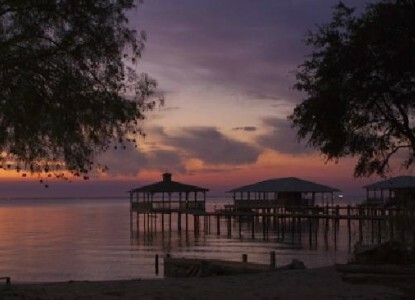 Hurricane Katrina struck in August 2005, with a 12-foot storm surge and damage to the historic hotel but Point Clear Holdings completed a year-long renovation with a cost of $50 million and now the “Queen of Southern Resorts” is more glorious than ever. History abounds in the Grand Hotel. Three old cedar hallways and a brick fireplace that dates to more than 150 years greet you. Fairways are lined with 200-year-old oaks and the Lakewood Golf Shop was rated as one of the country’s top 20. The Marriott Grand Hotel Spa “took top honors nationally for the second year running and top international honors for the first time, beating out spas from Thailand to Camelback Mountain.”viii Fruit, snacks and beverages are hand-delivered. Bro john I don’t think I could afford it. Good to read this history!! 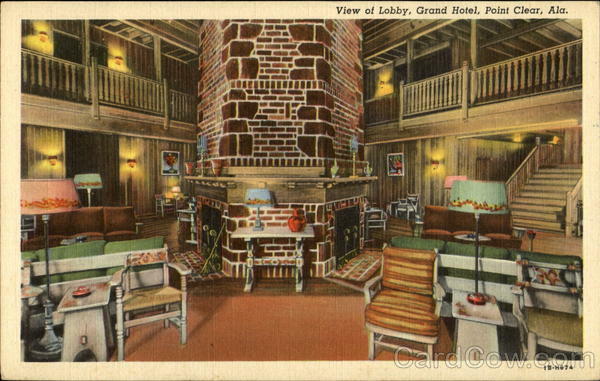 Stayed there once many years ago with Earl on convention. Loved it!! 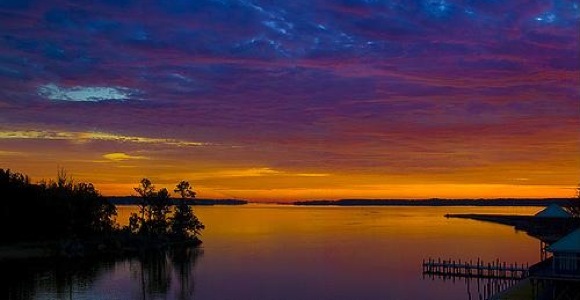 This is my birth place!